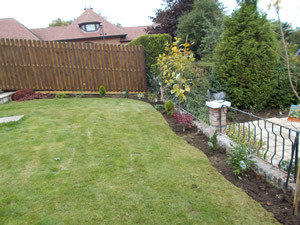 We also provide a maintenance service for cutting back trees, shrubs etc. Why use Ian W Hamilton? 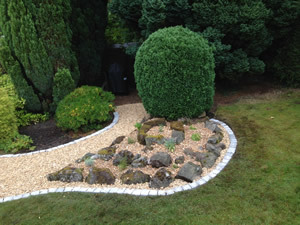 We are a family run landscaping firm based in the heart of Lanarkshire. The business was started by Ian in 1971 and now run by son Craig. 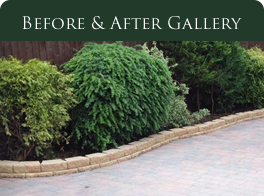 Contact us today on 01555 894545 to arrange a quotation or answer any questions. We cater for most of Scotland including Glasgow, Edinburgh and Lanarkshire. As a family firm we are proud of our reputation for excellent work and attention to detail. We are ideally placed for Hamilton, Motherwell, Lanark, Carluke, Braidwood, Law, Rosebank, Crossford, Lesmahagow, Kirkmuirhill, Bothwell and Uddingston areas.